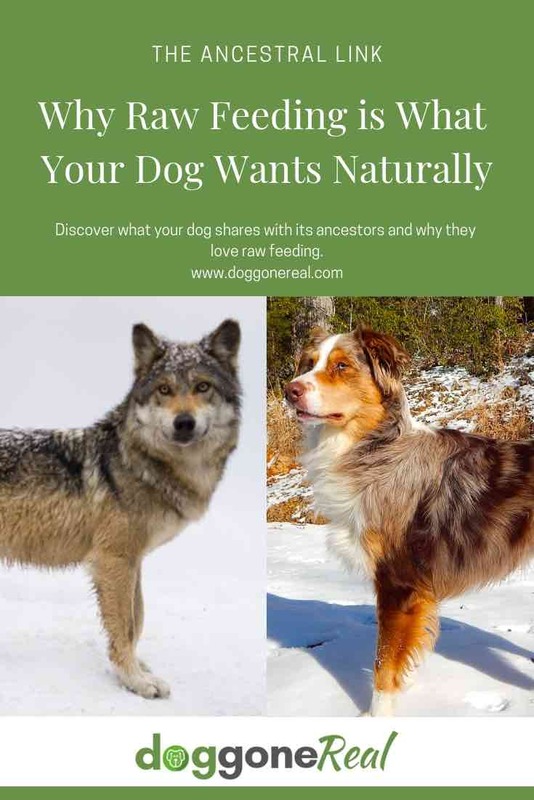 Discover what your dog shares with its ancestors and why they love raw feeding and the foods that are naturally best for them – high quality raw, lean muscle meats, marrow-rich bones, and organ meats. There is some debate over whether or not dogs are carnivores like their wolf ancestors, from which domestic dogs evolved thousands of years ago. 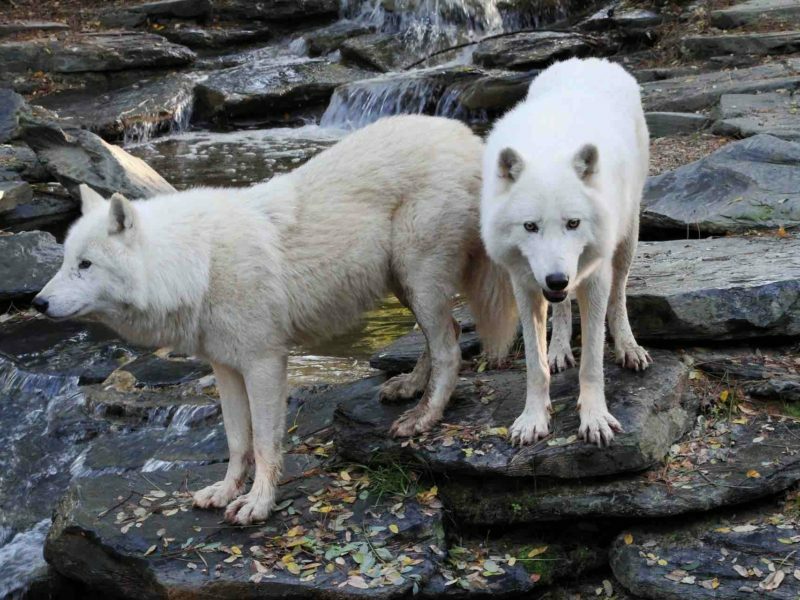 Dogs, like humans, have a “missing link” in their genetic evolution, a prehistoric wolf that served as the precursor to both gray wolves and wild dogs, which became extinct about the same time as other ancient mammals, like woolly mammoths and giant sloths. We also know that dogs’ domestication over thousands of years altered their digestive systems to be able to better digest starches, break down fats and metabolize plant-based foods like vegetables and fruits as well. But even today, dogs have trouble digesting grains like corn, soy, and wheat. And what are commercial dog foods largely composed of? Grains like corn, soy, and wheat. From obvious ancestral wolf descendants like the Alaskan Husky to the fluffiest lap-happy Shih Tzu, there are common links that dogs share with their ancestors that make them crave a species-appropriate raw dog food diet. Dogs and wolves both have 42 teeth, but … wolves have longer canines, which means that they can eat their prey more quickly and efficiently. All dogs have sharp canines and pointy back teeth, and their jaws are constructed to chew up and down, creating a tearing/chomping motion – unlike the jaws of humans, which move up and down and side-to-side to accommodate many food varieties, and herbivores, which chew from side-to-side to grind up plants. Dogs also have short digestive tracts full of highly potent levels of stomach acid to break down meat and kill off bacteria that would produce illness or death in many other animals, including humans. While humans typically cook meat to make it safer and more palatable to consume, dogs don’t require such safeguards, and cooking only kills off the natural nutrients, enzymes, and helpful flora that dogs need to digest and perform optimally. 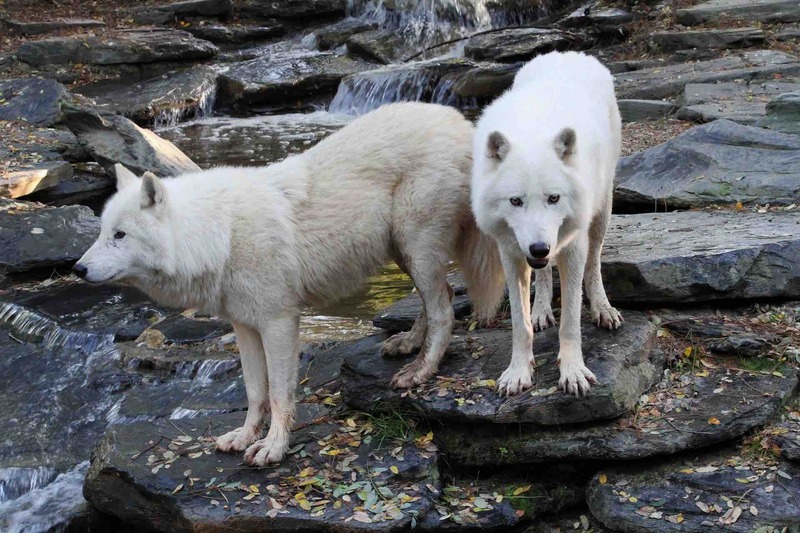 Different by only 0.2% – Biologist Robert Wayne examined the DNA of 7 breeds of dogs and 26 grey wolf populations and it was determined that dogs are different than wolves by only 0.2%. Over the course of their evolution, dogs’ digestive systems have adapted to allow them to digest starches, making dogs omnivorous to a degree, but they still maintain a strong predisposition toward carnivorousness. 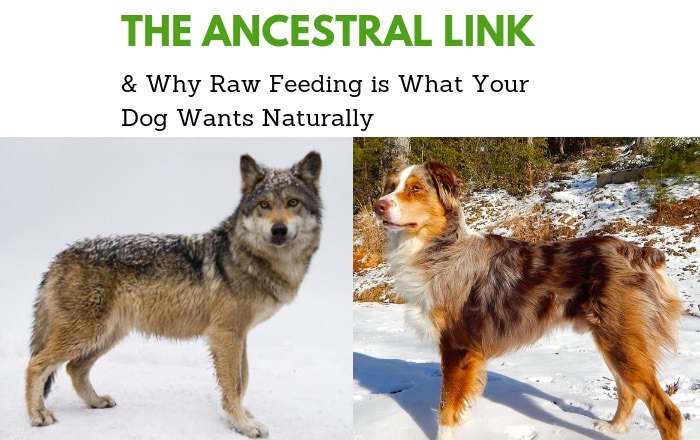 While dogs are notorious for wolfing down nearly anything you put in front of them, their ancestral bias is for a raw, varied, lean-protein- and nutrient-dense diet. But let’s forget about science and focus on what your adorable, lovable and ever-faithful pooch needs to be its healthiest, happiest, most energetic self. Like humans, dogs feel and function better when they eat what they need to enjoy optimal health. Click To Tweet Herein invites the expression “lucky dog,” because, often unlike healthy human food, healthy dog food is what dogs naturally prefer. Many humans might choose a plate of nachos over a salad – but dogs love the foods that are naturally best for them – high quality raw, lean muscle meats, marrow-rich bones, and organ meats that support a dog’s digestion and health. Dogs instinctively like raw feeding and desire the foods that will give them shining coats, bright, clear eyes, strong teeth and bones and fewer trips to the vet. If only it were as easy for us to learn to love beets as much as nachos.